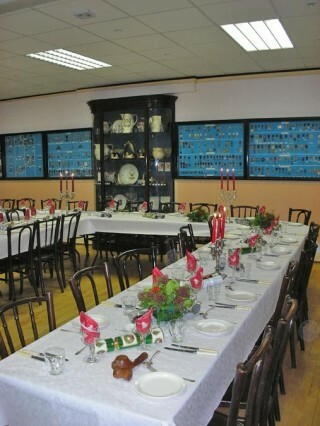 The Supper Room on the ground floor of Freemasons Hall in Tuckey Street, Cork is used for post-meeting suppers as well as the annual dinners to mark the installation of officers. A coffee morning is held each Friday from 10.15am to 11.45am. All are welcome to visit and it is often an excellent introduction for prospective members. All proceeds from these mornings are donated to charity. The Supper Room also acts as museum, and contains a wealth of history around its walls.